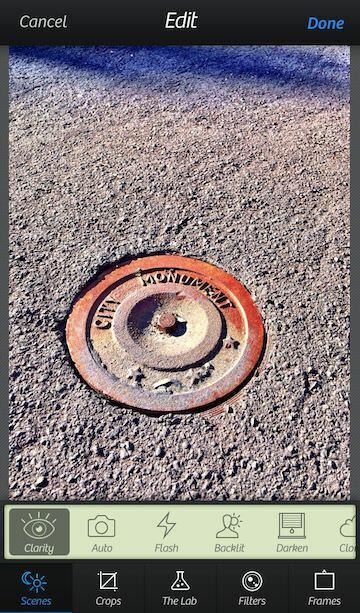 Camera+ is an app I jump to when I need to do a quick tune of a photo. The app has a large group of filters, that can be layered and each can have their level of application adjusted. As well, there are non filter tuning options, frames and rotate. 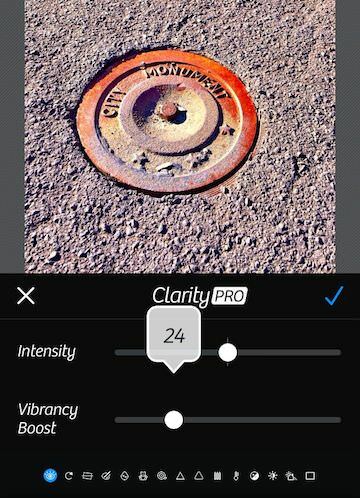 One of the best known Camera+ enhancements is the Clarify tool. Apply the feature to sharpen colors and brighten dark areas… sort of a clean HDR solution without going full HDR. The adjusters for filters more descriptive now via icons and colorization in the slider. In addition to the Scenes, Crops, Filters and Frames in now ‘The Lab’ option. 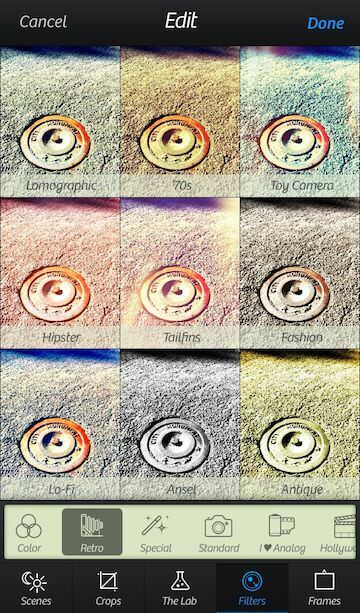 Some of the options Camera+ already had like Rotate are in this group now. Also, is the addition of more Power adjustment. This is where Clarify Pro lives, along with DuoTone, SoftFocus and FilmGrain. Depending on the enhancement, there are different and possibly multiple sliders to get the impact to the level the user is looking for. 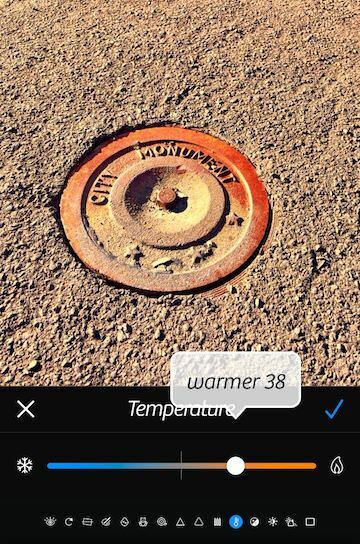 As the Camera+ slider is moved, a percentage number appears above the line (disappearing when the slider movement is stopped). Notice the other options in the tuning group are available to jump to via the micro icons along the bottom of the page, no need to go back to the overview screen. The filter pages still show the different filters applied to the image. The thumbnails look larger and easier to see the photo impact. ‘I heart Analog’ and ‘Hollywood’ are still extra charge filter groups. 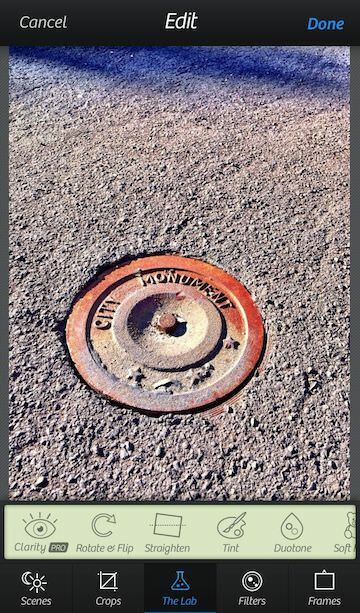 While Camera+ isn’t a ‘photoshop’ of iPhone, it is an app that adds a bit to any iPhone photo.